Great grips. 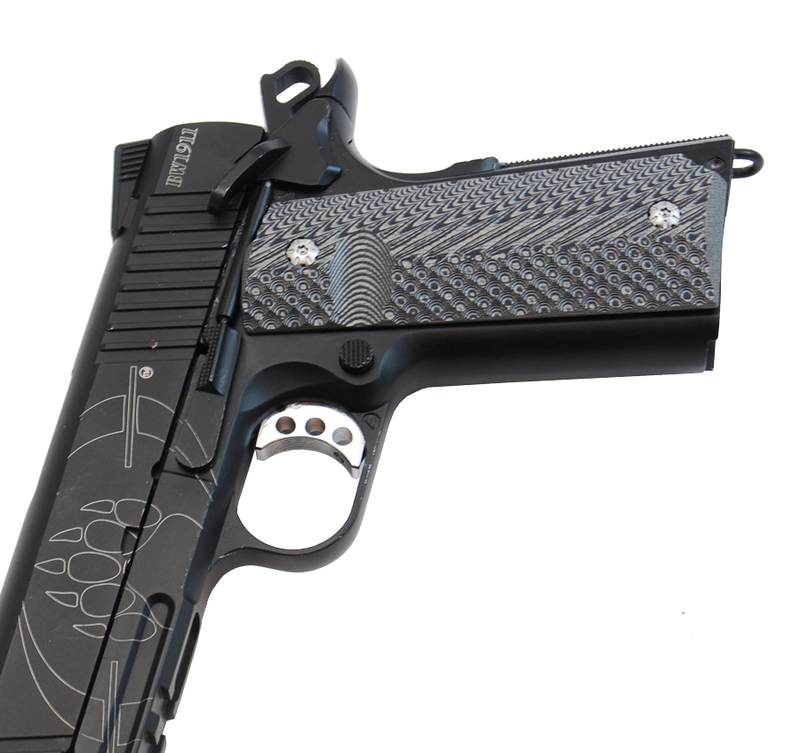 Very agressive grip, it wont slip. Also good look. Excellent quality and great design. Grip fit very well. These are simply fantastic. Highly aggressive surface gives superb control under rapid fire. Seriously cool looking too, the torx screws that accompany them make the whole package excellent. 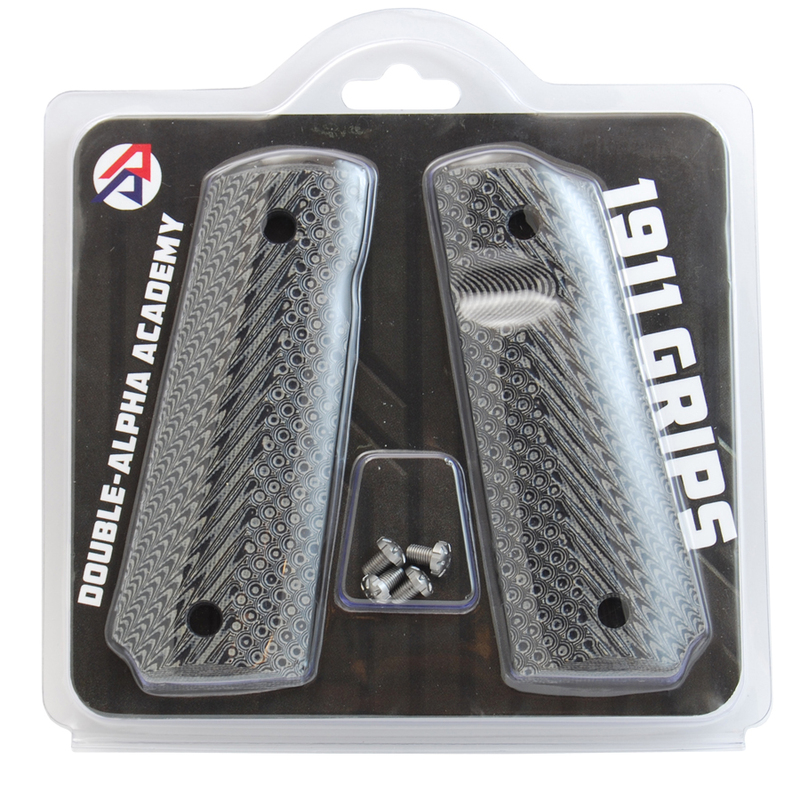 These grips are well made, aggressive but comfortable and good looking with a small reservation. 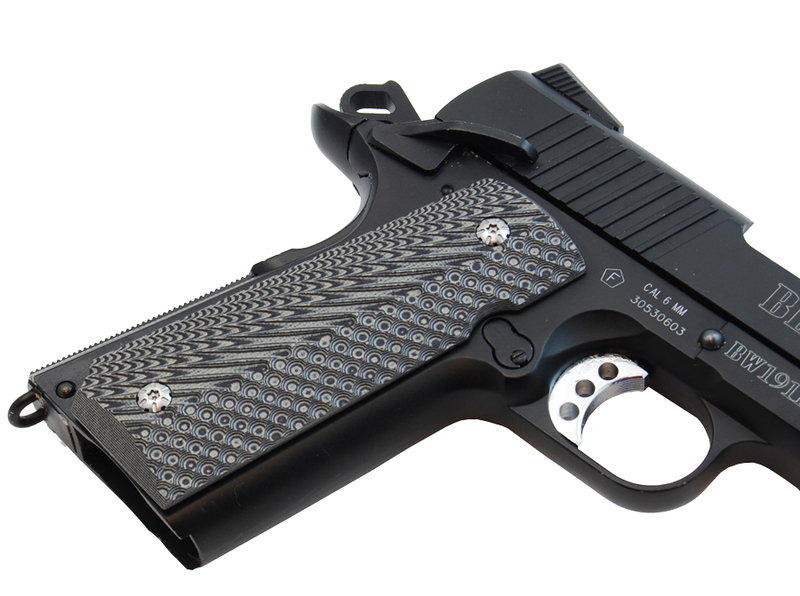 They will fit to pistols that have a magwell but won't look as good as full length grips. That's why 4/5. The tactical design includes a wide, deep, thumb cutaway which allows you unrestricted access to any mag-catch installed on your 1911. 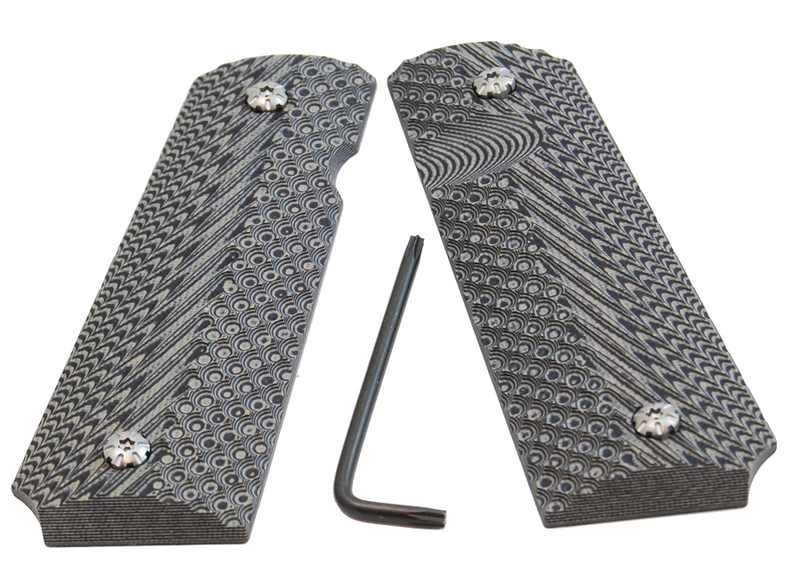 The CNC machined G10 Glass/Epoxy composite is extremely durable and is totally resistant to oils and solvents. 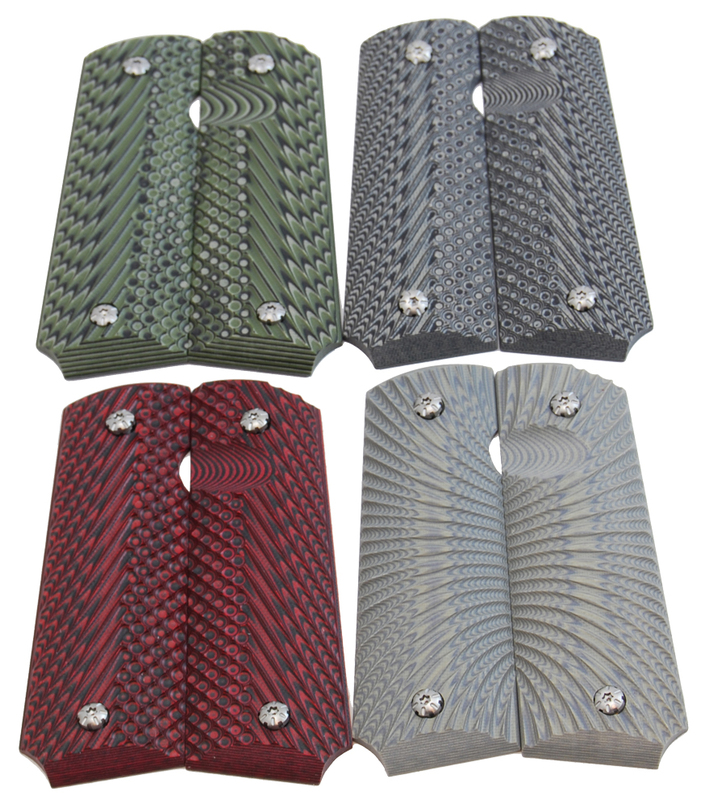 These grip panels offer not only improved performance when shooting your 1911, but also a striking attractive look, in a choice of 4 colors. Each set include 4 stainless steel torx screws, with a custom head design, a torx key and are packed in a display-friendly blister-pack.